Admittedly, I told my sister more than once she was CRAZY for running around in circles. Why on earth would anyone in their right mind want to run around in circles, sleep deprived, for 24 hours? Despite her numerous attempts to to convince me it was “So Fun”, I remained a non believer with ZERO interest. 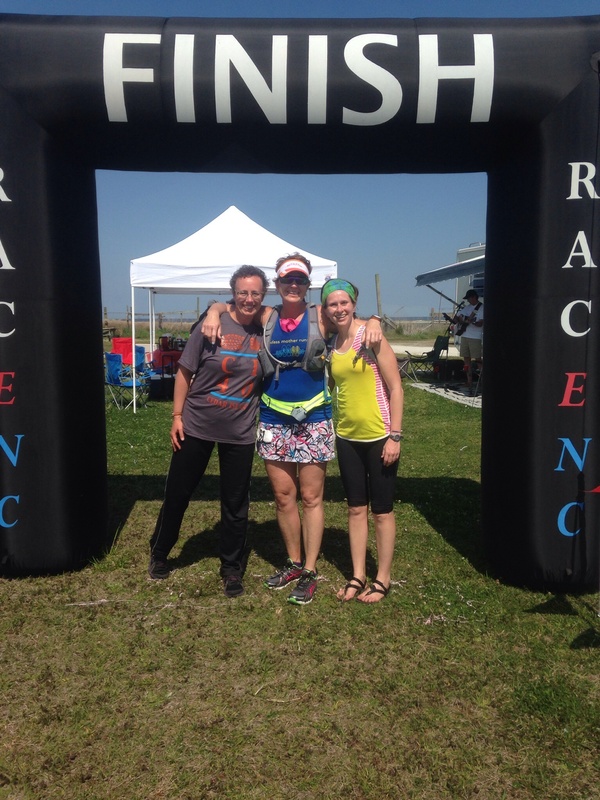 Amy( my sister) with Ashley and I at the CedarIsland40 finish! Funny how things change! Hours fresh off my ultra redemption run in April. Ashley, Amy and I sat around the breakfast table and discussed our next goal. 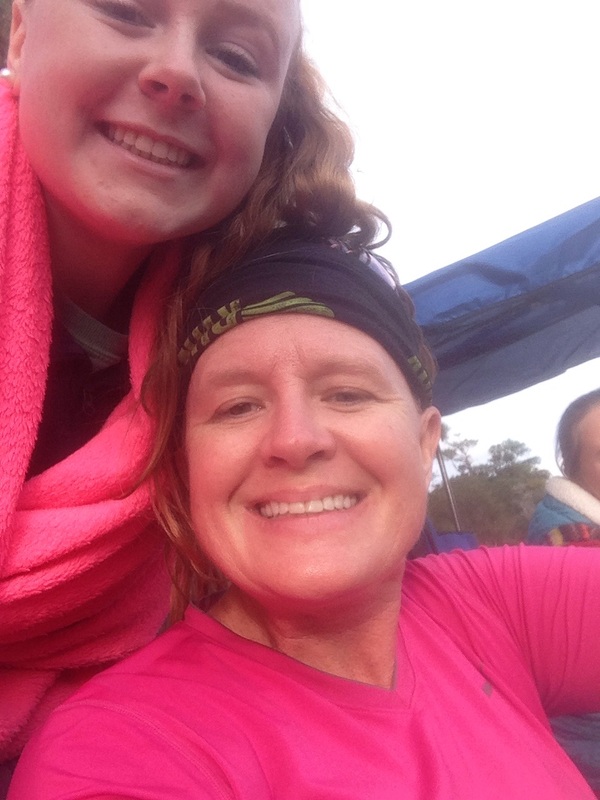 I remember vividly Ashley saying “lets do 100k at Croatan24.” After running 10 hours with Ashley the day before I had become rather trust worthy of her. No offense to my sister(Amy), but Ashley’s validation and enthusiasm about running around in circles solidified for me it was something I must give a try at least once. Just like that, with my feet and toes trashed from 42.54 miles, I was now setting my sights on 62 miles! Gotta love a stretch goal! 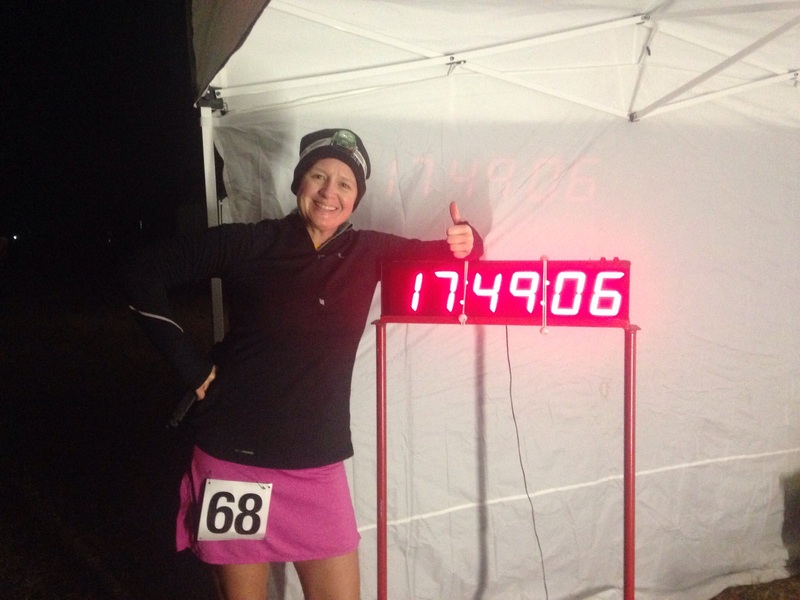 With 7 months to prepare, and one successful ultra under my belt I was ready to tackle the 100k. One thing was for sure, I had to do something different with my feet or I would never achieve my goal. 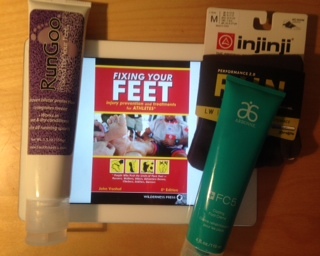 Feet Prep Supplies – RunGoo, Fixing Your Feet Book, Injinji toe socks, Arbonne foot creme! Bryon Powell author of Relentless Forward Progress: A Guide to Running ultramarathons referenced John Vonhof’s book Fixing Your Feet: Prevention and Treatment for Athletes. WOW! Tons of information regarding foot care. Something I had never given any thought. 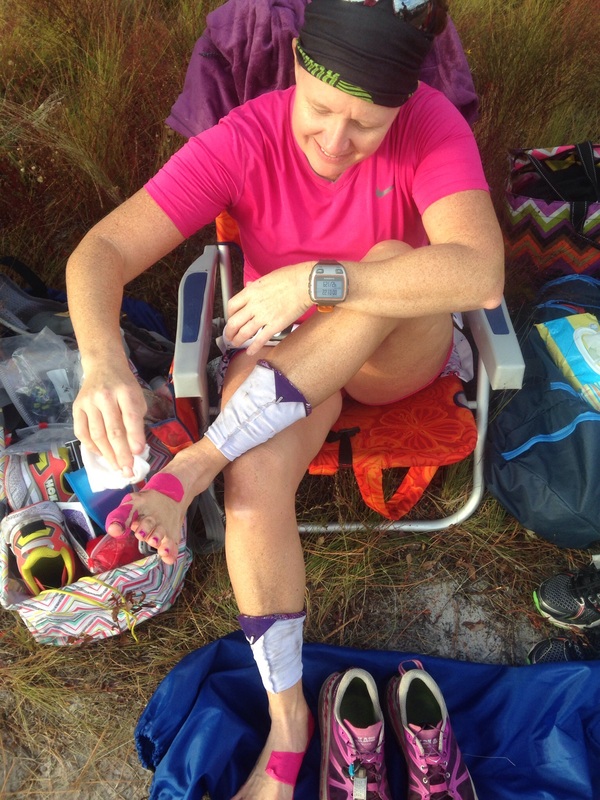 Foot care and blister prevention took top priority on my training list. 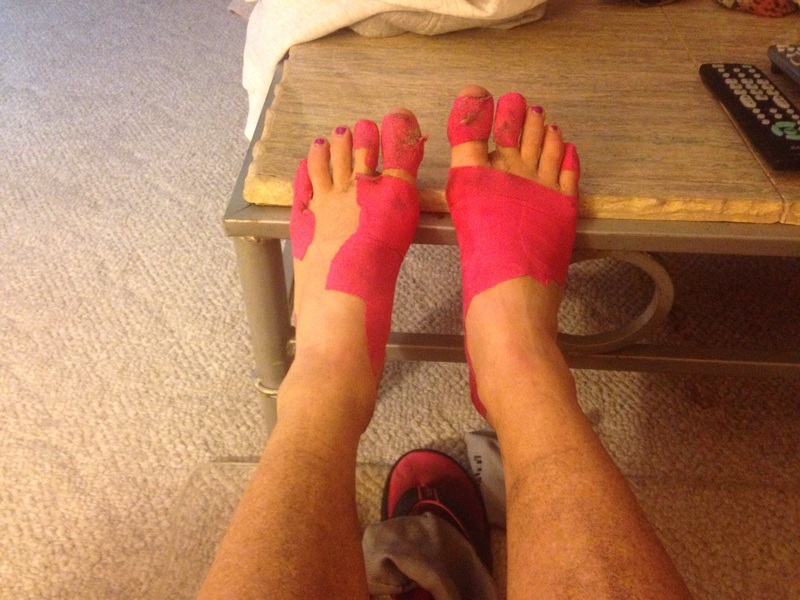 I religiously, scrubbed callouses, conditioned my feet, taped pre-run with Kinseo Tex Tape, and lubricated with RunGoo. Additionally, I ditched my Asics Gel Kayanos and moved to Hoka Stinson Lites. LOVE, LOVE, LOVE these shoes and am a HOKA convert for life. I have never felt this strongly about a shoe before in my life. #HokaLove! 5-6 months into my foot-care routine, I was able to run “naked” with no taping just lubrication and my injinji socks. Major milestone! If you struggle with blisters or other foot aliments I highly recommend John’s book. November finally arrived and I was ready to tackle the 100k. I was physically and mentally ready. I was excited and organized! I was going to be prepared for whatever the 2.33 miles loops had in store for me. 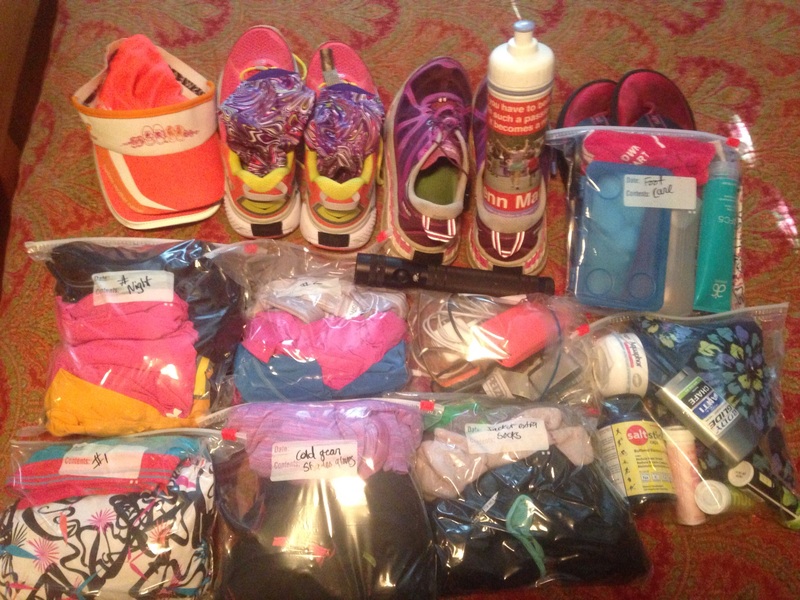 Ready for 24 hours of running or 100k..whatever comes first! At 8:00am, with beautiful weather we were off and running in circles! Due to trail maintenance at the typical Crotan24 location, this years race was moved to an alternate location within the national forest. The trail 2.33 miles in length, was generally hard packed sand, minimal roots, pinestraw, and several large sandpits. The sandpits added a aggravating challenging. Croatan veterans were vocally frustrated by the sandy nature of the trail. The fine sand and silt wreaked havoc on participants feet. Having nothing to compare to, I found the trail slightly challenging but nothing I could not handle. I was prepared! The sand and silt was not going to slow me down! Sharing the trail with Ultramarathon legend and world record holder Valmir Nunes ( far right) He lapped us the entire time:) He had one speed…FAST! Honored to share the course with such greatness! We agreed to a 6:2 run walk segment from the very start. This proved to be a great ratio. The first 13 miles went by really fast. It was a great day and I was feeling good. 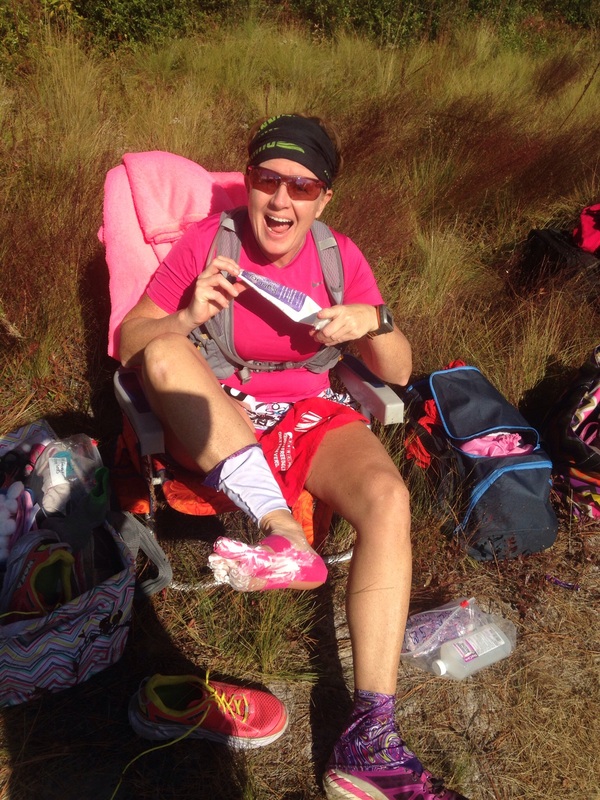 At 14 miles, I took my first “pit stop” for foot maintenance. Good call, as despite my Dirty Girl Gaiters the fine silt and sand had found its way through the fine mesh in the toe box of my Hokas. So thankful, I purchased gaiters the week prior. A new running staple for me. 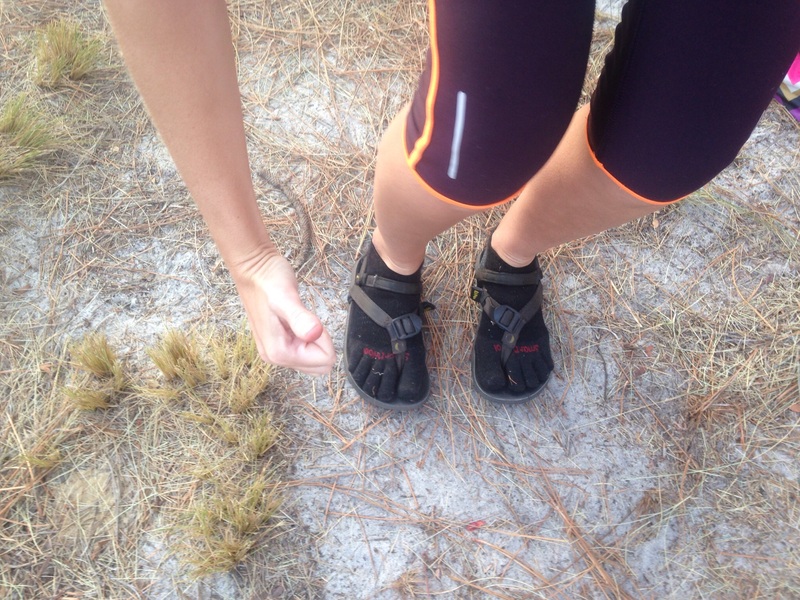 Ashley, while watching my foot routine some how found a gnarly cacti! Thankfully, the race crew spent much of the day before clearing cacti off the trail Thanks Jimmy B!. Eeeeek! 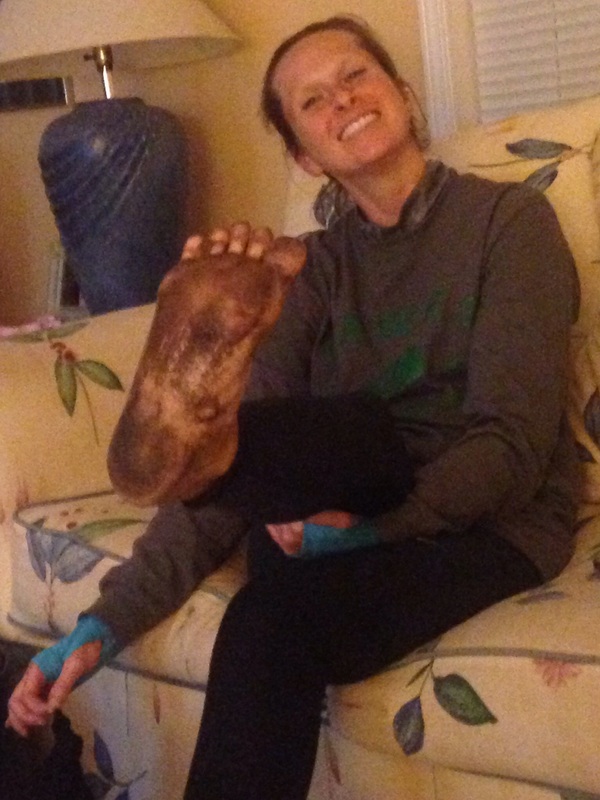 Ashley’s foot care consisted of…nothing! She and her Luna Sandals continue to amazes me! I thought for sure the sand would cause her issues. Throughout the day, I would inquire if her feet were ok. They were always GREAT! I finally stopped asking! Amazing! We ran and ate throughout the day. 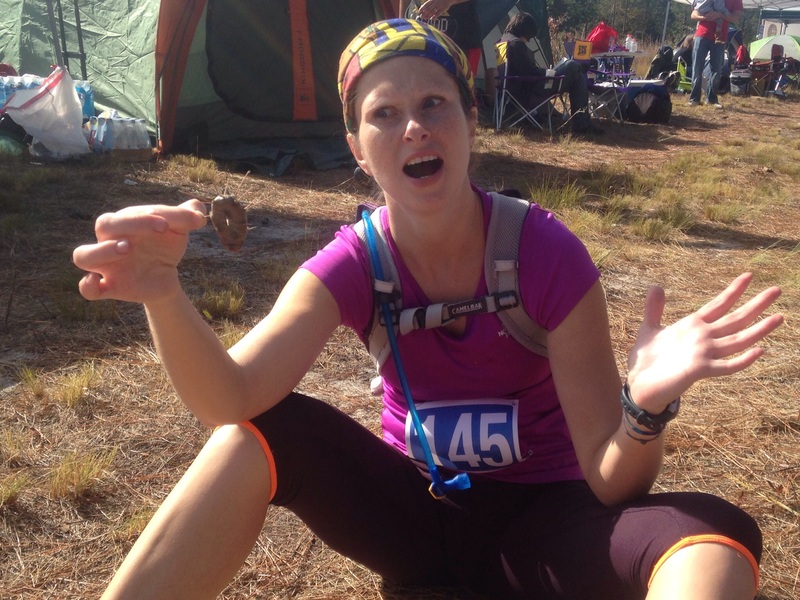 Heather, the race directors wife, provides a spectacular spread of food throughout the race. The variety of snacks, drinks, and hot food was over the top. Any race that provides a menu is a race for me! Its amazing how food I would not typically eat taste so good when you are running. I was happily fueled by hamburgers, orange peanut butter crackers, salted potato, BBQ chips, Fat M&Ms aka. peanut M&M, pizza, grilled cheese, coke, and Mt. Dew. On a normal day, I would not consider eating most of that. But on that day it was Yummy! Great job Heather and RacENC! Road side stretch where the runners set up camp! Also, home to the lap count tent and FOOD tent! I took my second foot care “pit stop” around mile 30. I was sticking to my plan to change socks and shoes every 15 miles and apply fresh tape. Mile 30 and my feet were holding up nicely. I developed a large blister on the pad of my right foot. Since it was not weight bearing, I let it be and applied extra tape. My toenails, cut as short as possible, were tender and I knew I was developing blisters beneath the toenail on my big toes. I fully expected this. I was thrilled my daughter joined me for the weekend and visited me during the day! 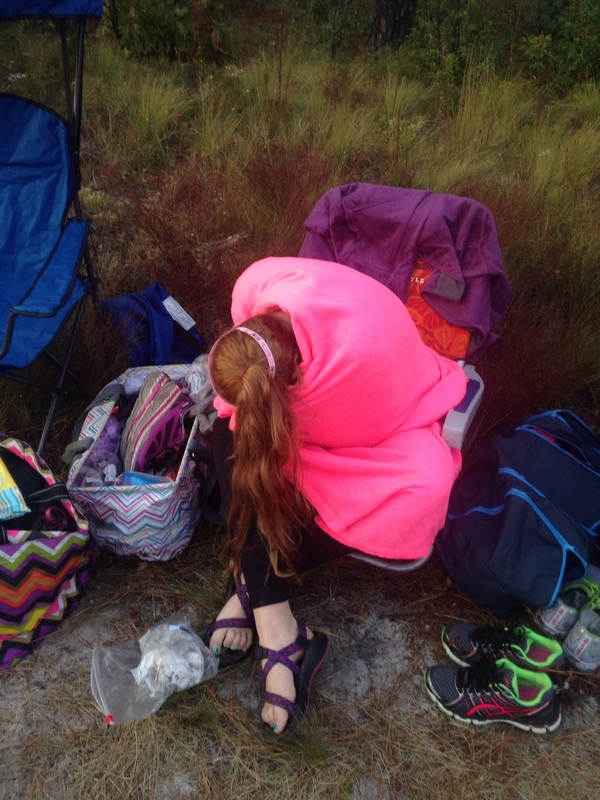 I ran and Madelyn took in all the sites from my chair with a warm blanket! Still having fun and enjoying myself, day turned to night and we were still running our 6:2 segments. 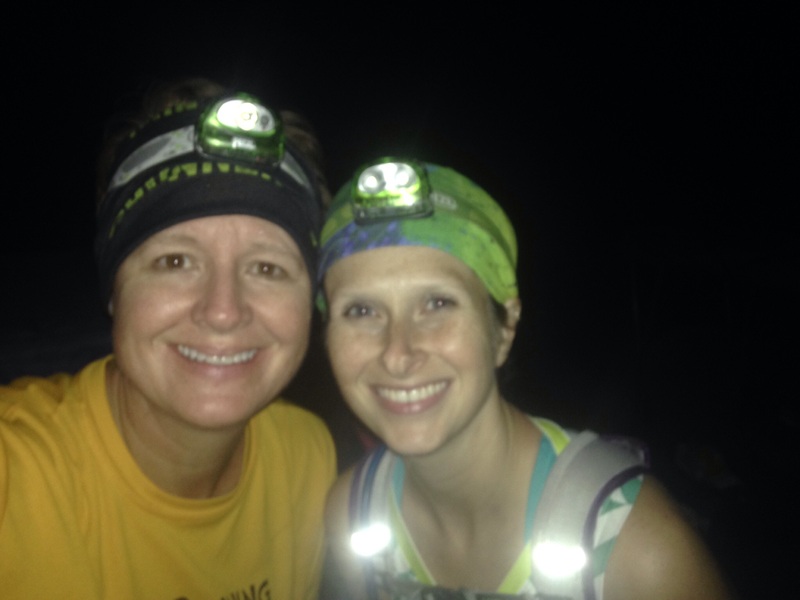 Amy and Jennifer had dropped back, so Ashley and I continued to log the miles together. The evening brought cooler temperatures but nothing a light jacket could not handle. I did change into dry clothes and was thankful for that choice. The night running was peaceful. 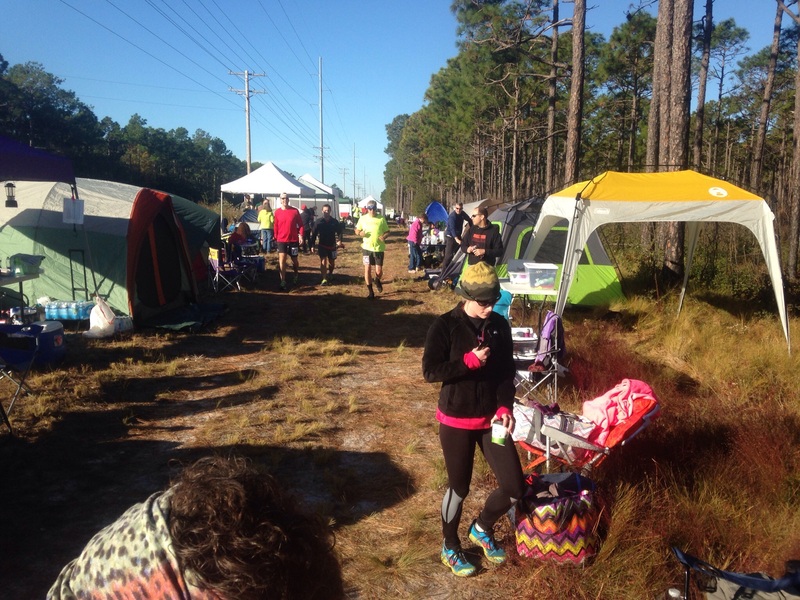 By this time many participants had hit the 50k and 40 mile mark and thrown in the towel. I am not sure if this was their plan all along but I do think the sandy trail conditions caused many to cut their run short. We were still clipping away the miles and running in distance PR territory(All miles after 42.54 for me and after 50 for Ashley). There was never any doubt we would not achieve our 100k goal. It was just a matter of when. Ashely had a crazy idea we would finish by 10pm giving us time to check out a local pub she had heard about. I told her she was crazy! After a little re-calculating (which took some time as our brains were not functioning at full capacity), she realized the suds would have to wait. Plan B was quickly formed and made sure Amy’s husband stocked the fridge at the house. I had never run so long at night. Fortunately, for Amy I gave her my extra batteries for her headlamp. Unfortunately for me, my headlamp batteries started to drain and my light was getting dimmer by the minute. It never died completely, the flashlight I packed worked awesome and was really bright. Next 24 hour race, I will have a bag of batteries and possibly a brighter headlamp. My Garmin Forerunner 310xt, with a 12 hour battery, impressed the heck out of me by lasting for 15 hours. When it died, Ashley became our 6:2 alarm for the next two hours. It was rather funny or at least we thought it was. She mimicked the beep, beep, beep, beepbeepbeepbeepbeep perfectly. The final laps seemed longer than usual. 15 hours in, we finally broke our 6:2 segment and walked more. We were so close to being done. The first glimpse of the light from the lap counting tent was a welcome sight and the signal of another lap complete! Finally, after 17:47:02 hours and 27 laps we were DONE! Goal ACHIEVED! 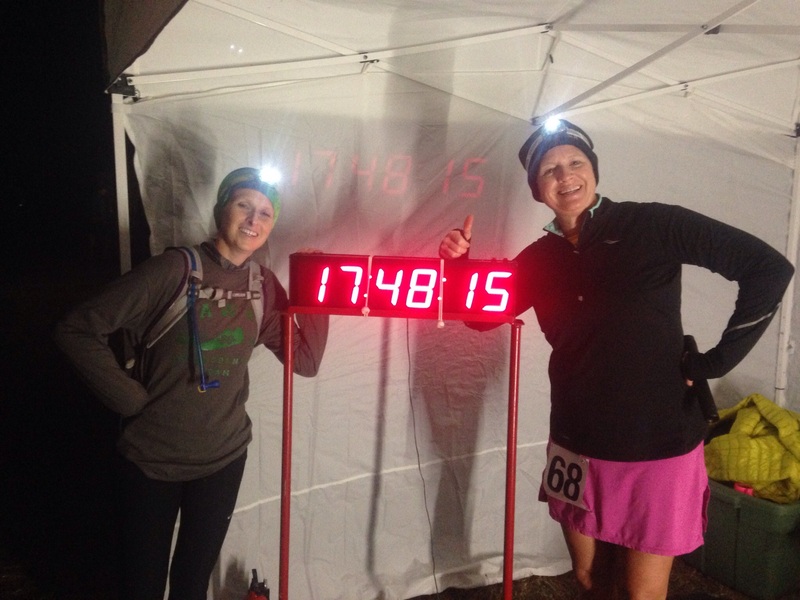 62.44 MILE! Fantastic experience and top notch race! Brandon and Heather, RacENC, host an excellent event. I have no complaints! Looking forward to 2015! I have my sites on 75 miles! 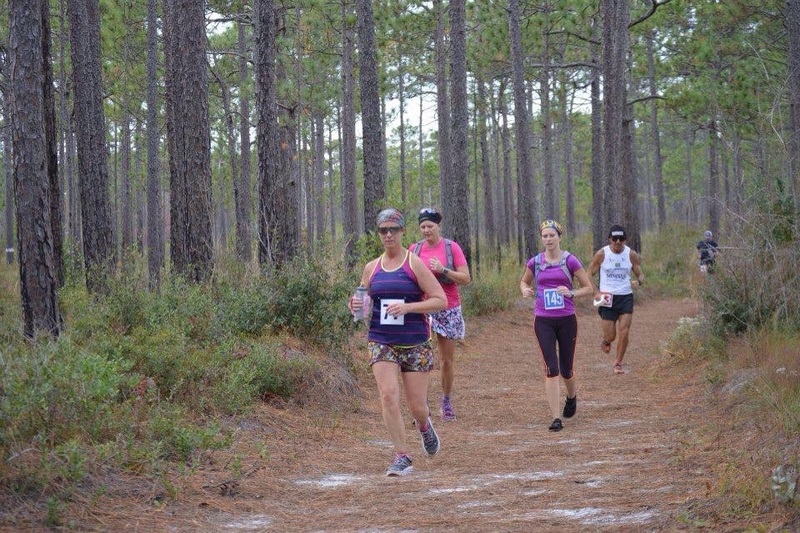 There is no other race where I would rather make this attempt than Croatan24! Bring on 75 miles in 2015! Post 100k feet in great shape! I large blister on pad of foot. Biggest complaint was blisters beneath toenails. Finally the 5 year running HEX, with my sister Amy was lifted. After many failed attempts to race together we finally ran Croatan24! We both hit new distance pr’s! Amy- 55+ miles me- 62.44. Amy is the sole reason for my running mania. She challenged me to my first run over 5 years ago. Little did she know the monster she would create! Thanks Amy for believing in me and always pushing me to do more! 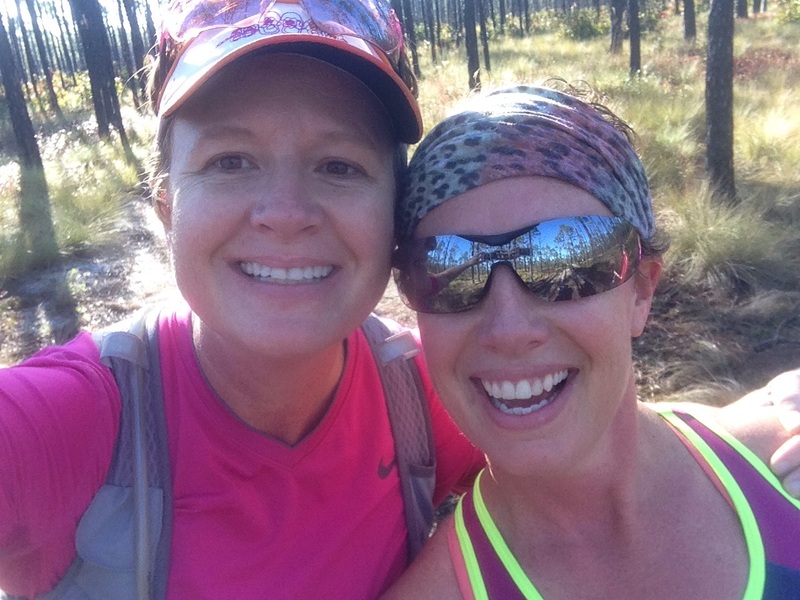 LOVE U ‪#‎runningsisters‬ ‪#‎sisters‬ ‪#‎BAMR‬‪#‎ultrarunning‬ ‪#‎batshitcrazy‬. This entry was posted in Running, Trail Running, Ultra, ultramarathon, Womens Running and tagged 100k, 24hour race, blister prevention, Fixing Your Feet, Hoka Stinson Lites, HokaOne, injinji, Kineso Tex Tape, RacENC.com, RunGoo, trail running, ultra marathon, Ultra running, womens running by BoxerRunner100. Bookmark the permalink. 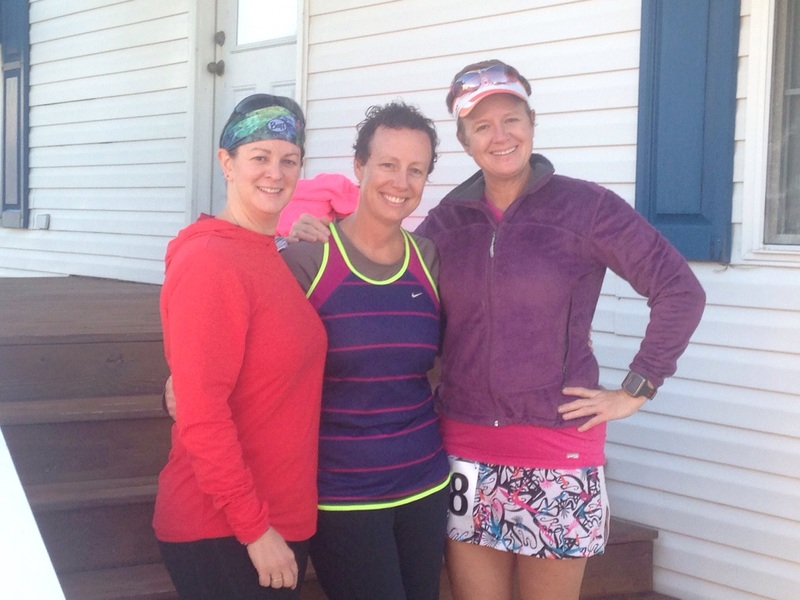 Truly amazing race and report…way to GO Ladies!!!!! Congratulations – what on a great race and race report. Thanks for the follow. Thanks for stopping by. Look forward to reading about your adventures!